I've left Paris behind me. It's been 10 days since I said goodbye to the city I love so much. I will be back again of course - regularly over the next couple of years and moving back there again at some point in my life - and it's not like Paris is going anywhere, still, it wasn't easy driving away and knowing you'll only get to follow along from afar. I promised one last thing before closing the door to these years spent in Paris. I promised I would make a little list over my personal favourites in Paris, the places I never tire of going back to, streets, squares, parks and neighbourhoods I feel each contain a piece of Paris whether they be touristy or almost unknown and some personal obsessions of mine: dawn along the Seine river and doors & facades. I realise the Eiffel tower didn't make it to the list. I'm sorry. I love the Eiffel tower, I really do, Paris wouldn't be the same without her iron lady and she always has a drawing effect on me when I pass by, but I don't think she was part of my personal experience of Paris, my everyday routines, places that are linked to my life, and heart. I feel I need to warn you that these favourites are completely subjective, personal and arbitrary, and I mean completely. Any question you might have going something like this: "hey but what about Musee Rodin, Galerie Vivienne, Place des Vosges, Luxembourg garden etc..." will be answered brutally with: not. among. my. favourites. Also, all places are listed in no particular order. I've already talked so much about this passage on Instagram as well as on this blog. If you've managed to avoid all of this, here's the link for the initial blog post: praising passage lhomme Oh and I might just have mentioned it again here and accidentally posted a whole lot more pictures about it. And now I just posted about it for the third time, so it's safe to say that this one is a favourite favourite of mine. Looking back at my previous blog posts, it seems almost incredible that I never wrote one about the Tuileries Garden of Paris as it's not only clearly my favourite park but also the one closest to where I lived and hence the one I have most pictures from. So many early mornings spent there running (okay stopping a lot to take pictures in between), so many different lights and atmospheres, those beautiful Judas trees and all the other gorgeous plants and flowers, an impressive amount of sculptures from artists such as Rodin and Maillol, them strange goats living there, the perspective towards Louvre, the Pyramid, the big ferris wheel and the fun fair during summer where my kids loved to go, the characteristic green chairs I want to steal, the pond. I've had so many picnics there with my family, lazy Sundays spent on the chairs reading newspapers in the sun with my husband, autumn days collecting leaves and chestnuts with my daughter. If you go to Paris and only have time to visit one park, Tuileries should be the one, no matter the season. 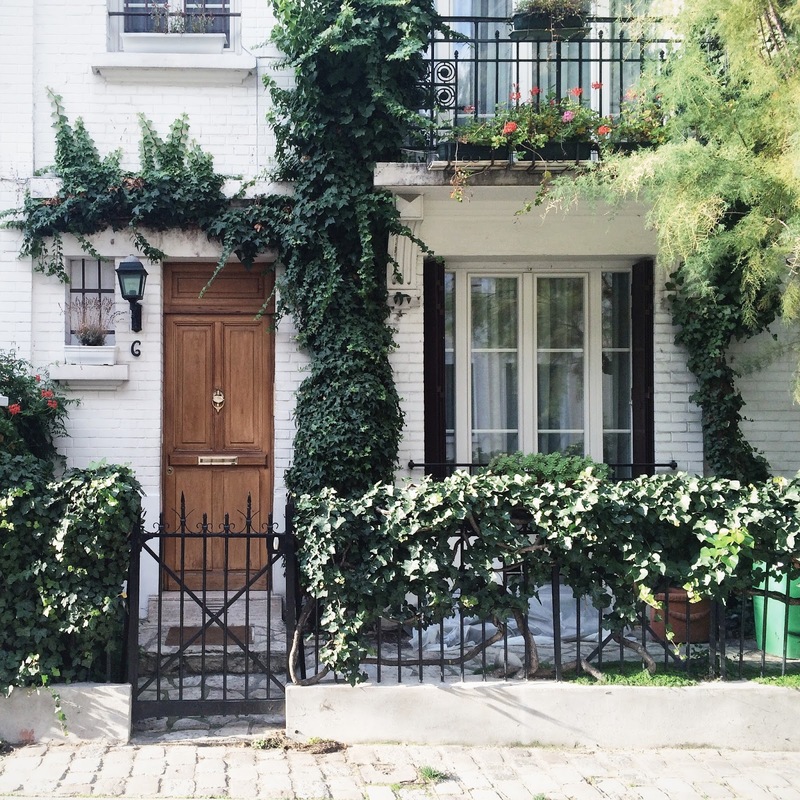 It's just so very, very Parisian. Yep, so at this point I think we all know that my top 20 list will never fit into one single blog post but so be it, several posts it is, I couldn't possibly take some away. Villa Leandre definitely has to be here, this little paved street aligned with one lovely brick house after another, covered by foliage and hidden in Montmartre always makes my heart go boom. And here are 2 pictures of her studio and the very particular "ambiance" you will feel when stepping into this museum. Not surprisingly I already wrote a blog post about this place as well. Located on Ile de la cite, near Pont Neuf, this public square was built in 1607 by King Henri IV who named it after his son Louis XIII, heir to the throne (known as "Dauphin" in French). The shape of the square is triangular & the space was originally enclosed by 32 identical houses. Although bankers & rich merchants lived here at the time - and maybe still do - the houses didn't & still don't qualify as "hotel particulier" as there aren't any adjacent garden. Still, it was chic enough for Yves Montand & Simone Signoret to take up residence here (number 15) & I wouldn't mind living here myself... You can read and see more pictures here and you can't not go there when visiting Paris.